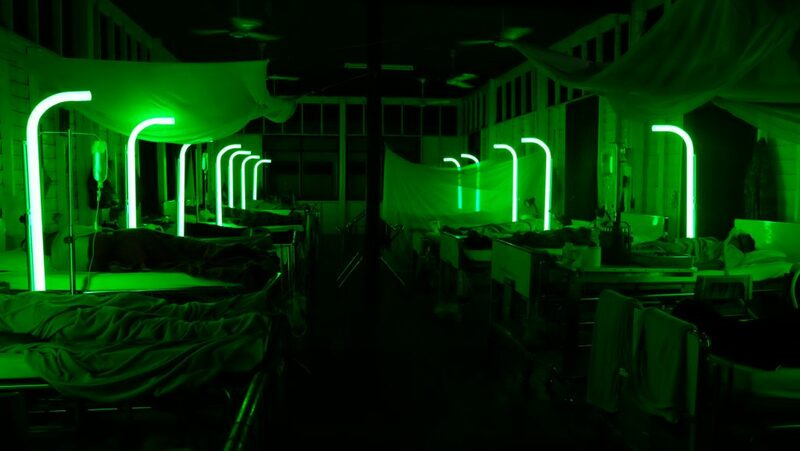 Not unlike his other work in which dream and spirit worlds often interact with a recognisable reality, Palme-d’Or-winning filmmaker Apichatpong Weerasethakul’s Cemetery of Splendour opens with a situation that appears familiar but which gradually destabilises conventional notions of reason, logic and structure. Voluntary nurse Jenjira (an inspired performance from Jenjira Pongpas) arrives at a former schoolhouse now used as a hospital to care for a unit of soldiers overcome by an unrelenting sleeping malady. There she befriends Keng, a medium who relates the hibernating patients’ thoughts to their families, and Itt, a soldier with whom she forms a unique bond.